From 1997 to 2006, serial killer Ronald Dominique raped and killed twenty-three men in poverty- stricken Southeastern Louisiana. Difficulties in apprehending Dominique ranged from the underfunding of law enforcement to a lack of family advocacy for the victims, to the general distraction by other catastrophes such as Hurricane Katrina. 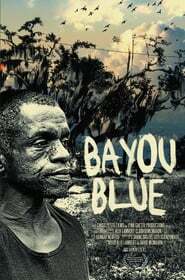 Bayou Blue meditates on the decay of a community.